Sometimes the entire direction of a design can rest on a beloved object or color or fabric. Today look at this lawn candy that has me all atwitter! 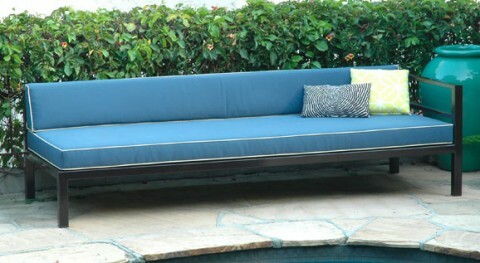 Plainair.com makes this low sleek exterior sofa - white piping against the blue makes me happy! 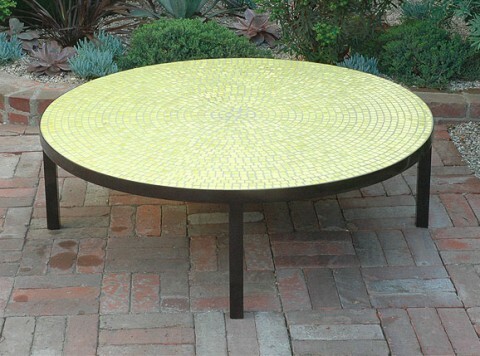 Plain Air also makes tile surface tables - the proportions of this one are quite pleasant! 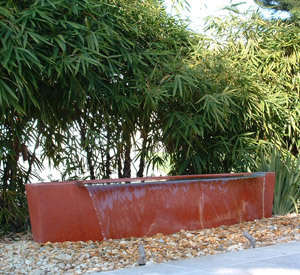 From Bov Studios: nice shape for fire pit or water feature or planting with something architectural like Horsetail. Same planter used as a fountain - gorgeous! 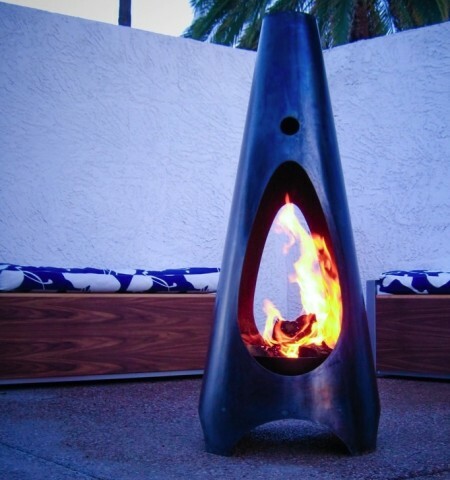 Love the sculptural shape of this outdoor fireplace from Modfire - less than $600. Do you have any lawn candy to share? Email me!